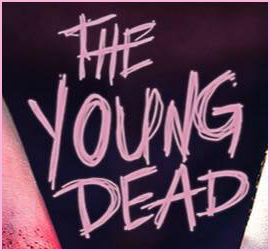 The Young Dead have a new EP out! They are a four piece, girl-fronted punk band led by Angela Page and encompassed by guitarist, Collin Mannon, drummer, Pete Flower, and Kristian Delay on bass. They hit all the aspects of grunge, punk and post punk. They recorded their entire album, “Righteous Violence” on their own at their new studio, Six Fingers Studio , located at the Sidney & Berne Davis Art Center . The Young Dead brings a great energy to their live shows, which definitely comes through in their upcoming album. They are super stoked on hitting the road and getting their new music out to the SWFL community. So, stay tuned! Righteous Violence EP Out Now!